A well-made scone is delicious. They’re crumbly but still moist, flavorful but still light, and have just a hint of the saltiness of baking soda or powder, similar to soda bread. 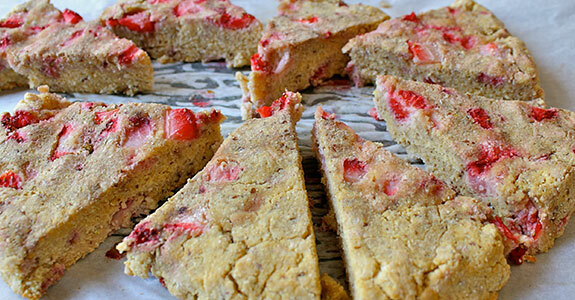 Here are some paleo scone recipes with fruit, vanilla, chocolate, and other flavors. 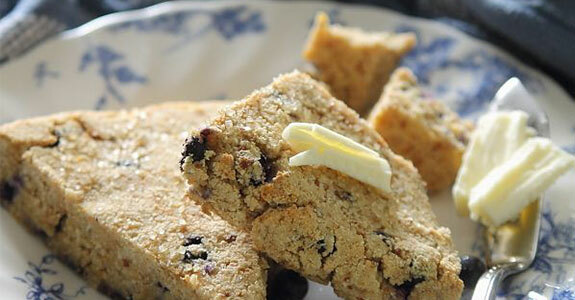 These are REALLY good scones that will convert even the biggest scone skeptic! 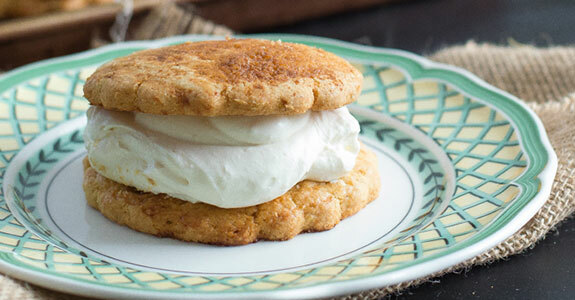 Want a different flavor in your scones? 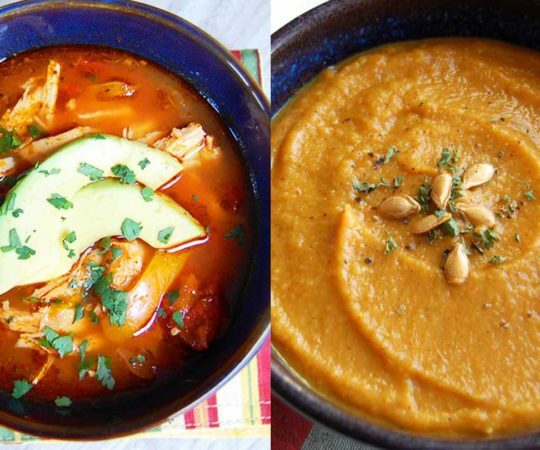 Try these with pecan flour! For this recipe, you’ll replace the corn starch with arrowroot starch and skip the powdered sure topping (or just dust with extra pumpkin pie spice). These spiced orange scones are sandwiched with a coconut ginger whip for a creamy and delicious breakfast treat that’s still good fuel for your body. Make sure to use almond flour instead of a grain-containing blend for this recipe. Best with grass-fed butter and fresh squeezed orange juice! I love almond flavors in baked good, and these scones get a triple almond flavor with almond flour, almond extract, and raw slivered almonds. I bet they would be absolutely heavenly with a homemade chocolate spread—they’d taste like a bear claw pastry! These lovely scones have a super-easy ingredient list with just almond flour, baking sofa, sea salt, lemon zest and juice, eggs, honey, and fresh blueberries (or you could use frozen ones that have been rinsed). They also have the ultimate lemony flavor combination. These scones taste like a slice of apple pie that’s healthy enough to eat for breakfast. For real! Made with almond flour, minced apple, shredded coconut, cinnamon, and honey, they’re sweet and light but still healthy and full of nourishment. No sugar comas here. Bright lemon and spicy ginger are excellent buddies, and this scone recipe proves it. With coconut milk, lemon extract, vanilla, and almond flour, you’ll be on your way to an amazing treat topped with a coconut butter lemon drizzle that tastes like a party in your mouth. 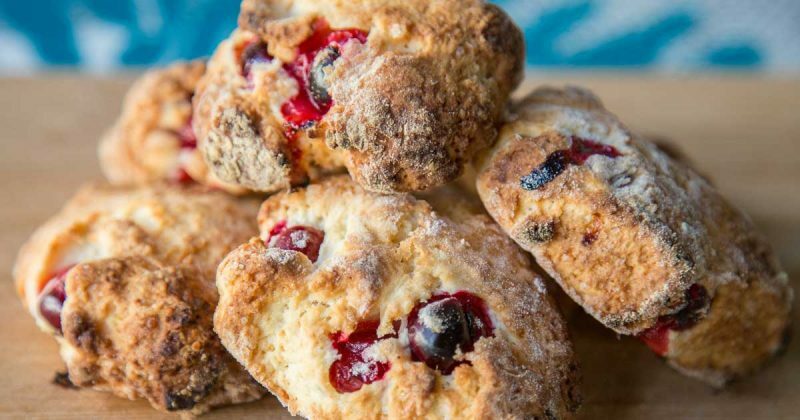 Skip the complicated flour combinations and just use coconut flour in this scone recipe, which makes a modest 6-8 small scones. Honey-sweetened and mixed with chocolate chunks, they’re a treat that you shouldn’t feel guilty about enjoying every now and then. These scones have sweet jewels of dried apricots mixed through—I recommend hunting some down that are free of sulfites and other preservatives dried fruits are often subjected to. The cold coconut oil helps create that crumbly scone texture, but you could also use cold butter. I love the combination of cranberry and orange. The cranberries are bright and tart, and the orange flavor also has a citrusy brightness to it, but a sweetness that tempers the berries. 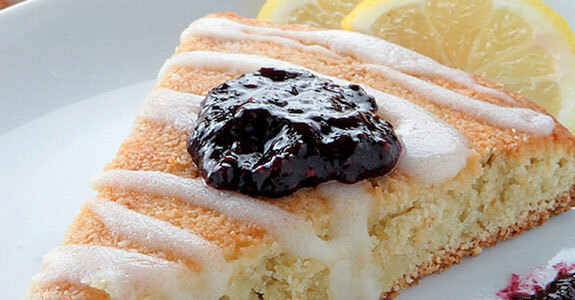 Try these cranberry orange scones made with honey, shredded coconut, and almond meal. 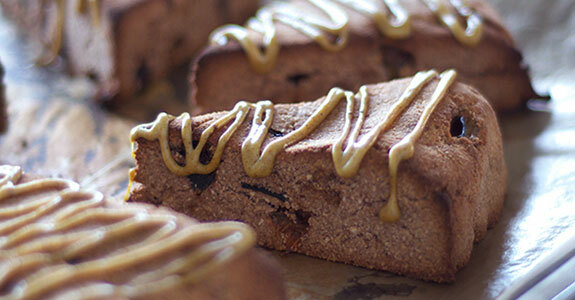 These spiced plum scones are sweetened with maple syrup and kept moist with homemade applesauce. A bit of cocoa powder is a sort of secret ingredient that gives these an amazing flavor. Definitely don’t skip the spiced drizzle with cashews, maple, cinnamon, cloves, and other tasties. I’m sharing this chocolate chip scone recipe as well, because it uses shredded coconut flakes as its main “flour” substitute, which is interesting and so tasty! I’d love to cut one of these babies open, spread it with grass-fed butter, and chow down. 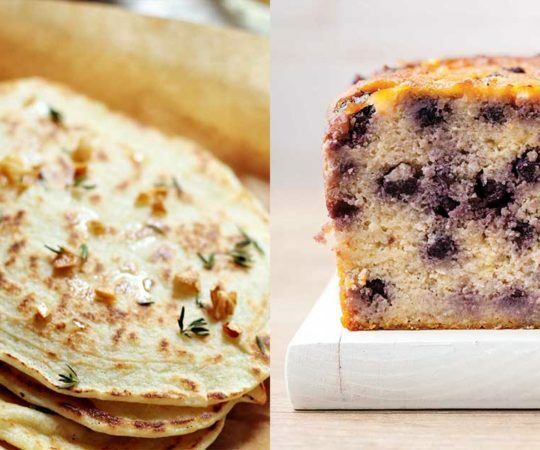 What’s better than blueberry lemon scones? Frosted blueberry lemon scones! These beautiful little almond-tapioca-coconut flour scones are sweetened with honey, flavored with vanilla, lemon, and blueberries, and drizzled with coconut cream, honey, and lemon juice glaze. These scones are moist and lightly sweet (maple syrup, my favorite!) and made with almond flour and chia seeds. The little powerhouse chia seeds had vital nutrients to this treat so that you don’t have to feeling guilty indulging every now and then. These scones use almond, cashew, and coconut flours for an awesome flavor and a moist of crumbly texture. The combination of blueberry and orange flavors is fantastic, and if you’re feeling adventurous, you could try using coconut milk in place of the almond milk for extra moisture and healthy fats. Cinnamon is one of my favorite flavors for both baked goods and breakfast foods alike, so you can bet I’m pretty excited about these. Almond and coconut flours create the perfect scone texture, while a cinnamon-maple-coconut milk frosting takes these to the next level. These raspberry scones are made with berry spreads and apple sauce for a fruity and naturally sweet flavor. Feel free to replace the xanthan gum with psyllium seed husk as an alternative. 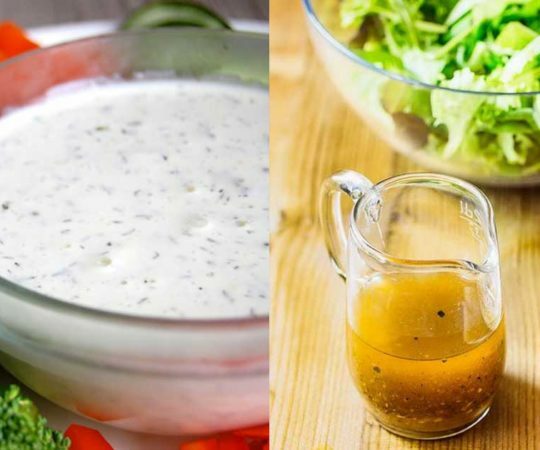 I recommend use coconut milk as the liquid in this recipe because it’s so rich! These scones are great for the holidays and are super tasty with cashew flour, almond extract, and coconut cream. They’re moist and amazing, even if you choose not to drizzle them with the chocolate topping (which I totally recommend using, because…chocolate). I think pumpkin alone is fine, but pumpkin with chocolate is out-of-this-world good. These scones are made with almond flour and pumpkin puree for a simple base. Sweeten them with maple syrup and add vanilla and pumpkin pie spices with giant chocolate chunks and a chocolate drizzle for the full experience. That’s it—I was sold just based on the picture of these scones with their vanilla bean glaze. Then I realized that frosting is made of cacao butter, and I had to mop drool off of my keyboard. Now I’m off to make these scones and eat all of them by myself. See you later. These pumpkin scones will remind you of their sugary, grain-filled counterparts at Starbucks. 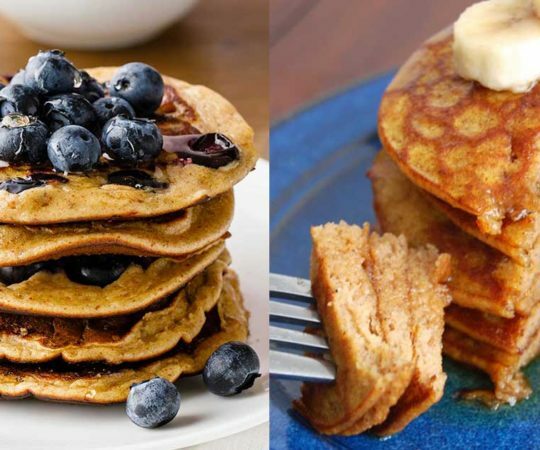 They feature a pumpkin base with coconut butter, maple syrup, vanilla, and spices, and are topped off with an amazing glaze made from cashews, maple, coconut oil, and almond or coconut milk. This is one of my favorite scone recipes—partly because I love orange, and partly because of the amazing orange honey butter which, after tasting it for the first time, I decided I simply couldn’t live without. So better try these scones, because they will change your breakfast life for good. These scones are made simple with almond and coconut flours, maple syrup, and almond milk. 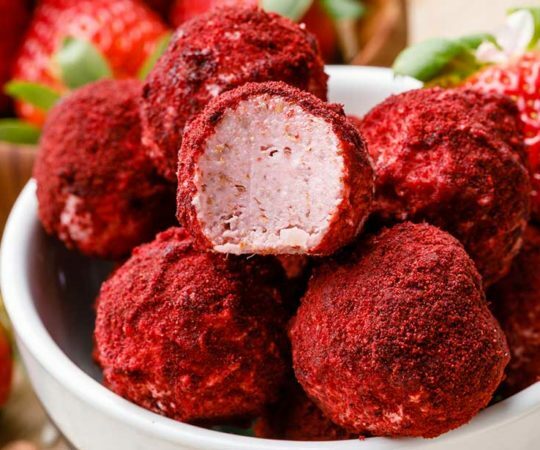 Flavor them with vanilla extract and fresh strawberries and top with the ultimate creamy, crumbly, strawberry-sweet topping: homemade strawberry coconut butter! These scones are made with coconut oil, coconut palm sugar, almond meal, arrowroot, flaxseed meal, and other ingredients. The ground mahlab is optional but really takes these to the next level, and the fresh cranberries are lovely bursts of flavor in every bite. I’m a huge sucker for vanilla anything, so I had to include this recipe. You’ll need almond meal, baking powder, macadamia nut oil, maple syrup (or honey), vanilla bean paste, and (optionally) a homemade strawberry and vanilla jam—the recipe for which is linked on the page. 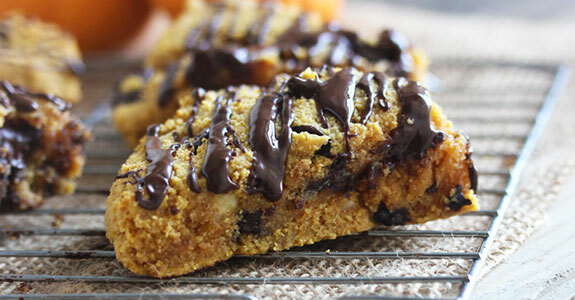 Need a healthier way to get your chocolate chip cookie fix? Try these scones made with almond flour, salt, baking soda, egg, honey, almond butter, and Enjoy Life Mega Chunks—you could also just use the regular chocolate chip version instead of chunks. 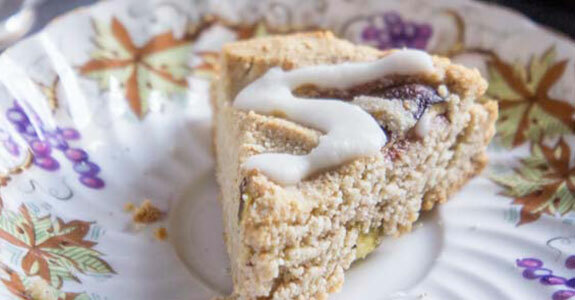 These scones have a unique and sophisticate flavor, with fresh chopped figs mixed into the batter (Mission figs are the best variety, in my opinion). The spices like nutmeg, cloves, cinnamon, and vanilla give these scones a lovely aroma, and the coconut butter keeps them dense and moist. There’s no way around it—dark chocolate and cherries are still one of the most romantic and decadent flavor combinations known to humans. Am I right? Of course. So give these scones a try with honey, cacao chunks, dried cherries, butter, and almond flour.